It was a very close review however the Oral-B Pro 3000 just edges the victory with the Oral-B Pro 2000 coming in a close second and the Oral-B 2500 coming in a narrow third. All three would make a great addition to your bathroom however the Oral-B Pro 3000 sensitive cleaning mode, extra brush head and better charging station swing it for me. So which is a better buy the Oral-B Pro 2000, the Oral-B Pro 2500 or the Oral-B Pro 3000? All three of the electric toothbrushes are mid range electric toothbrushes built by Oral-B. They all provide different advantages and disadvantages but which one provides you with the best features, best value for money and best portability. Find out in the detailed review below. There is a huge amount of cross over between the Oral-B Pro 2000 , 3000 and 2500. If you hold the three toothbrush handles together there is very little difference in the shape. The only real difference is the colour. The Oral-B Pro 2000 is a pale blue (can also come in a vibrant pink), the Oral-B Pro 2500 is black (can also come in vibrant pink) and the Oral-B 3000 which is a dark blue. Out of the three colours, the Oral-B Pro 3000 dark blue appeals to me the most. The Oral-B Pro 3000 have these two cleaning modes and an additional one which is sensitive. Although cleaning modes are in the most part irrelevant, the sensitive mode works by reducing the power of the electric toothbrush from 8,800 oscillations and 40,000 pulsations down to 6,500 oscillations and 30,000 pulsations. This can be particularly useful for people with sensitive teeth especially when used in conjunction with the sensitive brush head. The Oral-B Pro 3000 also comes with another extra brush head which is a nice addition. All three electric toothbrushes come with two forms of pressure sensor. A visible light that flashes red when you are pressing too hard and also a sensor in the brush head that slows down pulsations and oscillations if you are pressing too hard. These are both critical to prevent gum recession and tooth wear. All the electric toothbrushes on test today have a “Protimer”. This is a helpful on handle timer that buzzes every 30 seconds. After four of these buzzes you will have completed your recommended 2 minutes of brushing. The Oral-B Pro 3000 has the most features of the three electric toothbrushes and therefore wins this round. It comes with the handy sensitive cleaning mode and an extra brush head. The Oral-B Pro 2500 and 2000 are identical other than the colour. The Oral-B Pro 2000, 3000 and 2500 all use the 3D oscillating rotating mechanism of action at 40,000 pulsations and 8,800 oscillations per minute. They will therefore clean your teeth with the same power on the daily clean mode. The Oral-B Pro 3000 trumps the others by being able to adjust the pulsations and oscillations with a sensitive cleaning mode. If you do not have sensitive teeth, this function will be irrelevant for you. Very little in it however the Oral-B Pro 3000 edges it by having the sensitive cleaning mode. The Oral-B Pro 2500 and 2000 are identical in performance. All three electric toothbrushes have slim line profiles. This means that they are easy to hold however the battery life is lower than other electric toothbrushes. 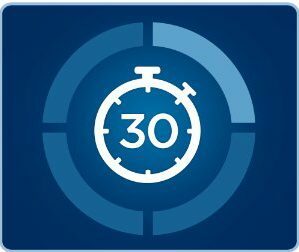 The Oral-B Pro 2000, 3000 and 2500 all will last on average 28 minutes which is a weeks worth of usage cleaning twice a day for two minutes. If you share the holder then you will need to charge more frequently. All three toothbrushes provide you with a charging station. 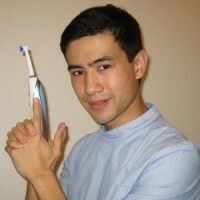 The Oral-B Pro 3000 is a little more fancy because it allows you to hold two brush spare brush heads upright next to it. This is pretty handy if you are sharing the electric toothbrush holder. The charger that these electric toothbrushes provide you with are 2 pin connector. Unless you have a shaving socket in your bathroom, you will need an adapter to convert from a 2 pin to a 3 pin socket. These can be picked up from your local store or Amazon (please see below). The Oral-B Pro 2000, Oral-B Pro 2500 and Oral-B Pro 3000 have charging indicator lights that flash green when charging. When the Green light stops flashing the brush has reached full charge. Equally there is a red light that flashes when the power is low. This is a really handy feature. All three of the electric toothbrushes take between 5-6 hours to charge fully from being discharged. I usually just leave them overnight and by morning they are ready to brush for another week. There are no differences between all three of the electric toothbrushes. They share many of the same components in terms of battery life. All of the electric toothbrushes weigh 130g with the tooth brush head and are relatively small with a dimensions of 23cm x 2.5cm x 3cm with the tooth brush head. The Oral-B Pro 2500 trumps the other two by coming with a travel case. I find a travel case extremely useful to protect the oral-b pro 2500 when on my travels. In a funny way it makes me want to bring the Oral-B Pro 2500 just because it has the travel case. The Oral-B Pro 2500 wins this round as it comes with a travel case. This is something that not even the more expensive Oral-B Pro 3000 comes with. The Oral-B Pro 3000 currently costs £60.88 on Amazon.co.uk. The Oral-B Pro 2500 currently costs £36.75 on Amazon.co.uk. 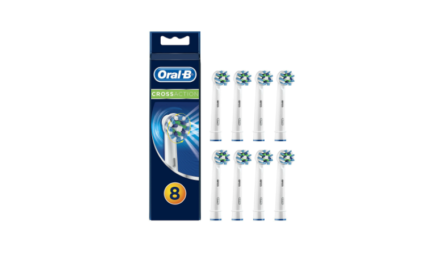 The Oral-B Pro 2000 currently costs £35.00 on Amazon .co.uk. 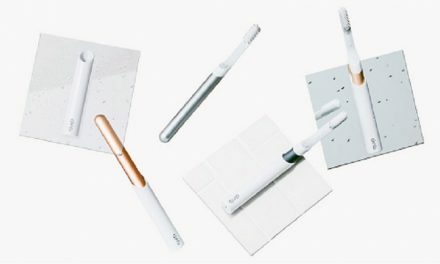 All three electric toothbrushes will have the same operating costs. A pack of 4 cross action brush head currently costs £10.94. This means that the running costs are around 3p per day for the brush heads. The 2 year warranty on all these electric toothbrushes can be extended to 3 years if you register online. 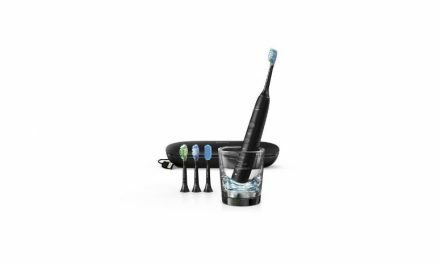 The Oral-B Pro 3000 is the most expensive however it has one more cleaning mode, another brush head refill and a better charging station. This represents the best value for money. If you do not have sensitive teeth, the Oral-B Pro 2000 comes in a close second. The Oral-B Pro 2500 running in third. 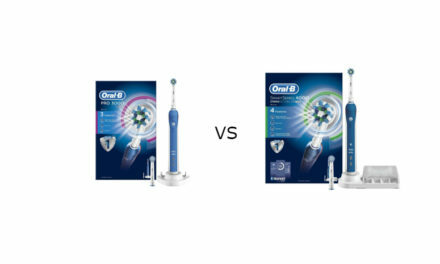 It was a very close review however the Oral-B Pro 3000 just edges the victory with the Oral-B Pro 2000 coming in a close second and the Oral-B Pro 2500 coming in a narrow third. All three would make a great addition to your bathroom however the Oral-B Pro 3000 sensitive cleaning mode, extra brush head and better charging station swing it for me. NextShould you go for an Oral-B Trizone or a Pro? what about the number of oscillations, pulses etc. Do they make a huge difference? I read somewhere that the minimum to go for should be pro 2000 as it has 40,000 pulses per min. + 8,800 sweeps/oscillations . the vitality/pro 600 range may be too “slow” to clean effectively due to lower pulses/oscillations. Hi James. That is a fantastic question and thank you for reading my blog. The Oral-B Pro 2 2000 definitely oscillates at 8,800 per minute and 40,000 pulsations per minute. The Oral – B vitality does not pulsate as it only cleans with 2D action and the Oral-B Pro 600 range has a slower pulsations. Does slower pulsations affect cleaning power? Yes it does, the higher frequency pulsations allow for a phenomenon known as “non-contact” cleaning. This is where the electric toothbrush can dislodge plaque it does not even touch. With the lower frequency pulsations this will not be as powerful. Now what dentists including myself, always say is you can clean properly using any toothbrush, manual or electric, high or low cleaning power. What I add on to this is, it is easier to clean properly with an electric toothbrush that oscillates 8,800 per minute and pulsates 40,000 per minute. My analogy is this, if you were trying to reach 100mph would it be easier to do it in a Ford KA or a Ferrari? You could probably do it in both, but one would be significantly easier that the other. The Oral-B Pro 2 2000 is a great electric toothbrush. Hope that answer helps. Hi, The Pro 3 3000 only has 2 modes, they seem to have dropped the sensitive mode with the lithium model, making it the same as the Pro 2 2500. Also they recommend 12-15 hours charging to fully charge the battery… There now seems to be no difference between the 2500 and 3000 so not sure what you get for an extra £10 (from Amazon). I asked the Oral-B UK support team and they said a different model number? You are right the Oral-B Pro 3 3000 does not come with a sensitive mode. The differences are that the Oral-B Pro 2 2500N comes in black and pink whereas the Oral-B Pro 3 3000 comes in blue. 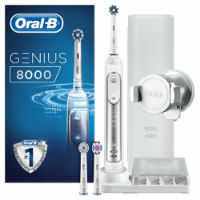 If you are not bothered about the colour, the Oral-B Pro 3 3000 also comes with an additional 3D whitening brush head. Otherwise the product is extremely similar. you should specify which version of a toothbrush you test. today, early 2019, we looking at the 2 generation of the 2K series and the 3rd generation of the 3K series. the Last one, the Pro 3 3000 would not win this review considering the only difference with the Pro 2 2500 is an extra bursh head.the price difference is 15 quids, quite expensive for a brush head! Adding the whitening brush head is also weird, since the Pro 3 3000 doesn’t support the whitening mode. But Oral B is very well know for selling basically 4 brushes and creating tens of product codes with various colors, box content..l just to confuse the customers. Completely agree, as it says at the top this post was written in Feb 2017. Really need to update the information as Oral-B has changed a lot since then. Will fast track the update on this. Thank you for pointing it out.